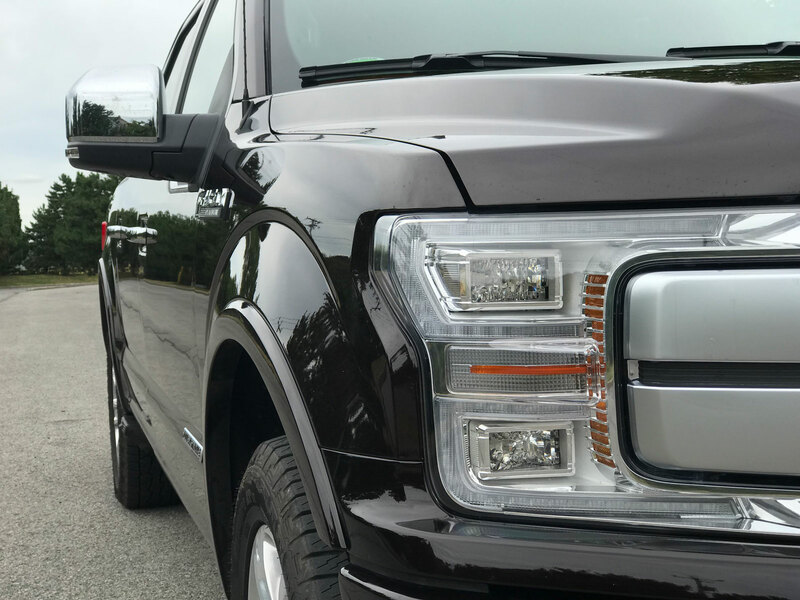 2018 sees the Ford F-150 undergo a slight refresh to keep things current. The headlights have been extended inward and now meet with the grille which has been extended outward. 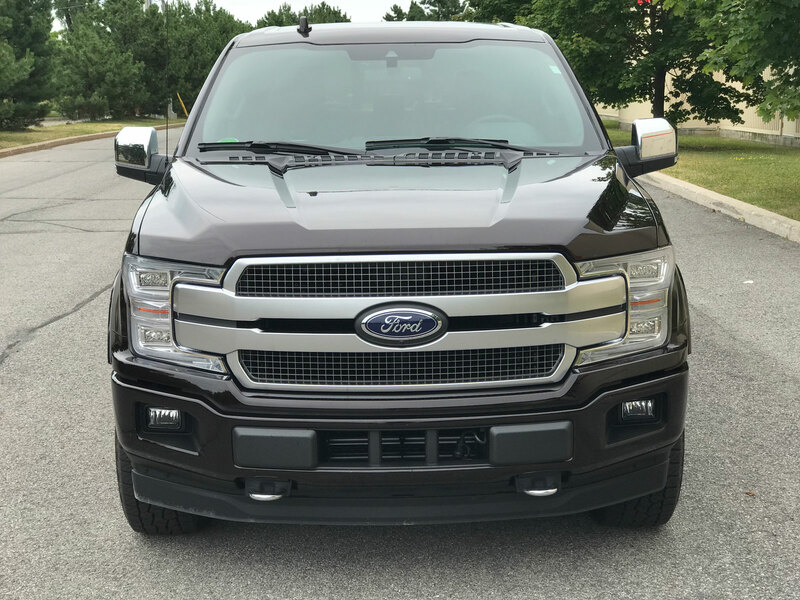 The hierarchy of grille remains the same meaning the lower end models will get a black one whereas the higher end models graduate to large chrome bars to ensure they stand out more. It’s a modest change which won’t ruffle too many feathers. 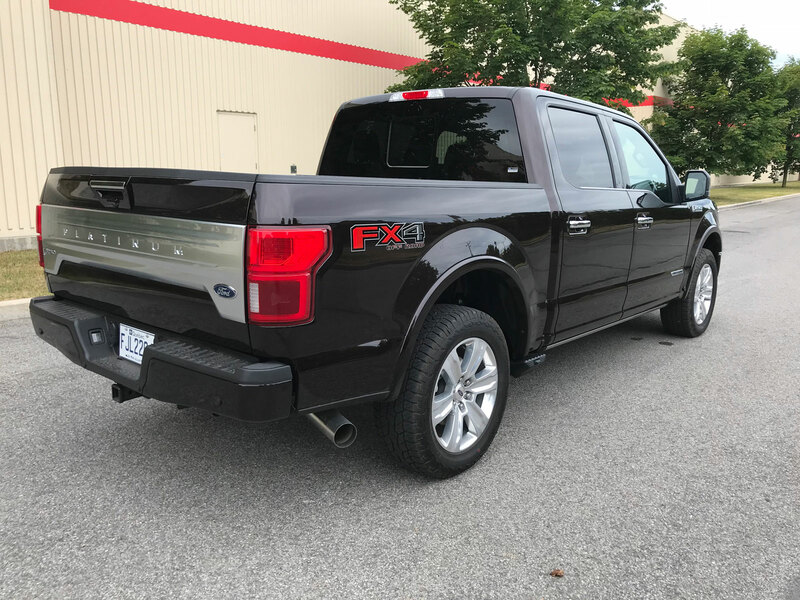 Keep in mind the company ruffled a heck of a lot of feathers recently when they decided to build F-150s using high-strength aluminum instead of the traditional steel in 2014. 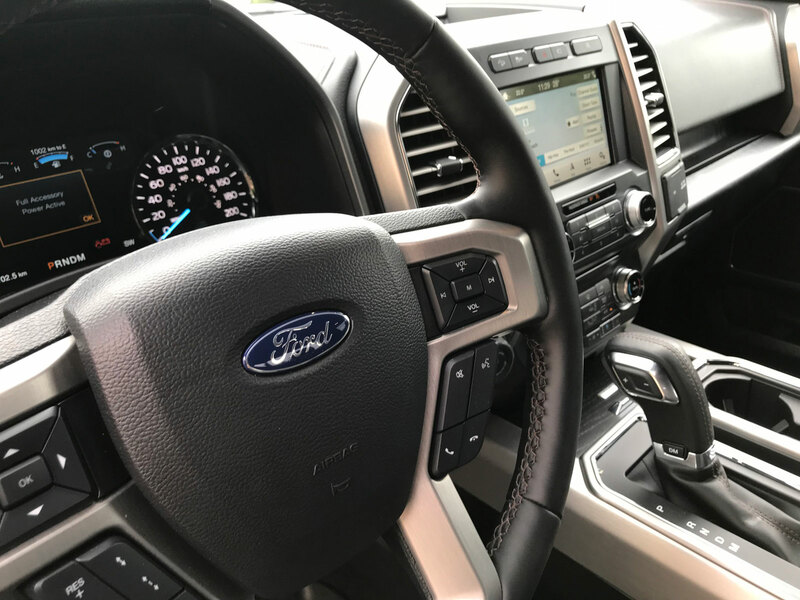 The gamble paid off because the F-Series is still the most sold vehicle in the US and Canada and remains the measuring stick by which all other brands use to gauge themselves. The weight savings of around 700 pounds also allowed a variety of smaller, more fuel-efficient motor options to make sense moving forward. 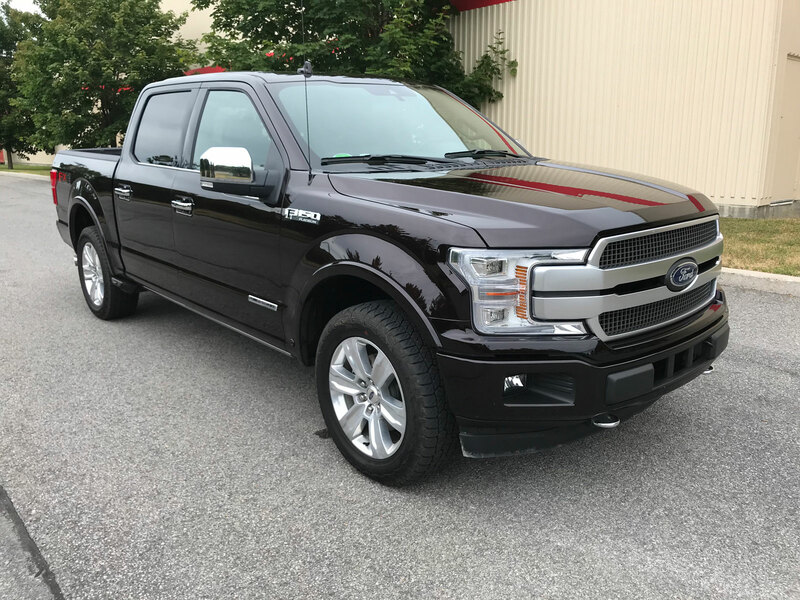 One of those new options is a new Power Stroke diesel. 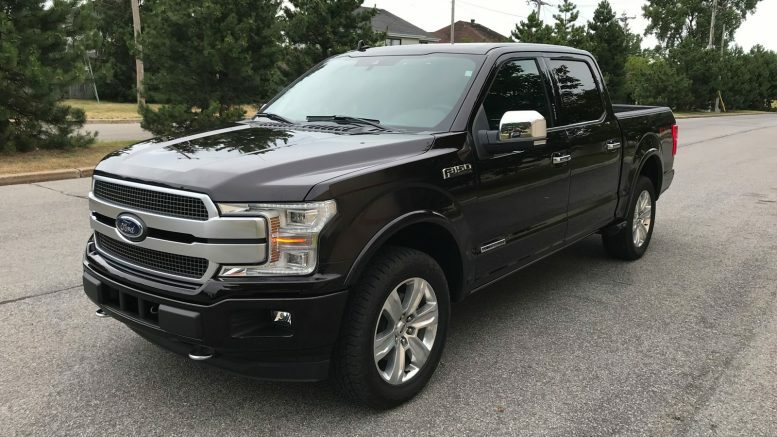 For the first time in over thirty years Ford is offering a diesel engine for the F-150. 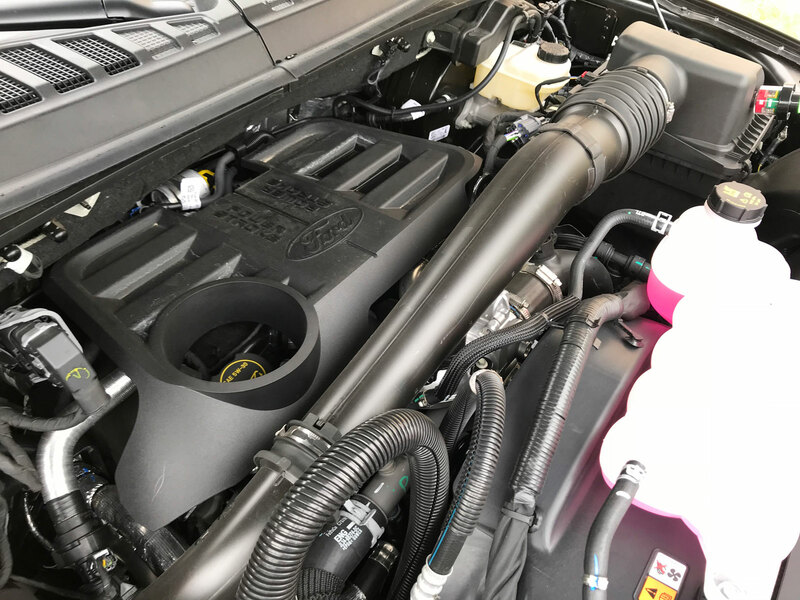 A 3.0-liter Power Stroke V6 turbo diesel sourced from its old partnership with Peugeot Citroën (and currently being used in a several Range Rover HSE models) officially joins the ranks of the available power plants which include the 3.3-litre V6, 2.7-litre and 3.5-litre EcoBoost V6 engines, and finally the 5.0-litre V8. 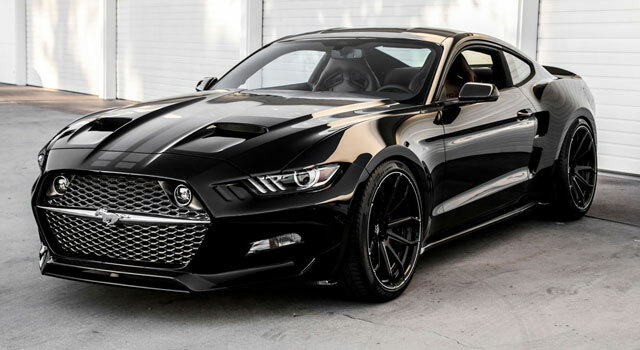 The engine is rated at 250 horsepower and 440 lb.-ft. of torque. 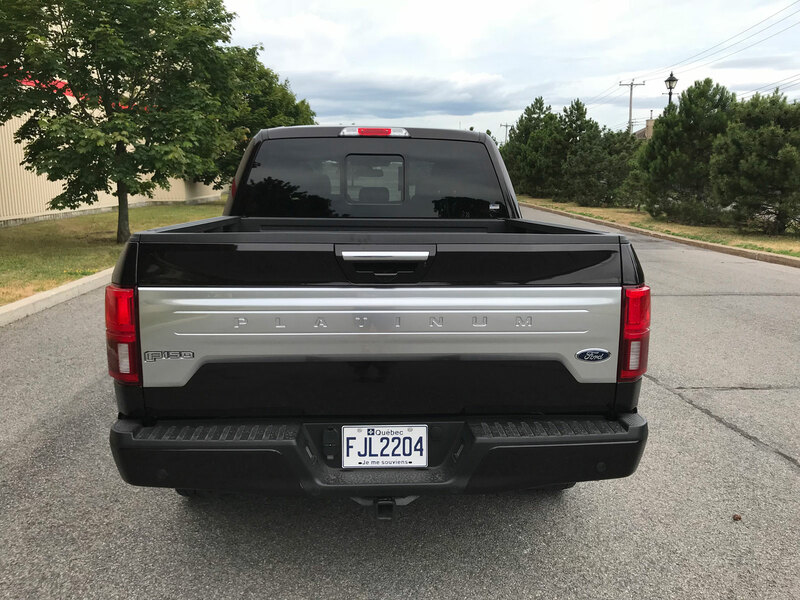 Ford also boasts fuel economy ratings of 7.8 L/100km highway, 10.6 city and 9.4 combined – the highest (U.S. EPA-estimated) ratings available in a full-size pickup truck. You may think diesel engines are noisy (most are) however the first thing I noticed was just how quiet this one is. There is none of the usual diesel ticking/clicking. Step on the gas and the power is available instantly right form the get-go and the delivery is smooth smooth smooth over the entire powerband. Mated to a 10-speed automatic, the transmission shifts seamlessly between gears so much so that it’s nearly imperceptible. When I first got the truck, the system was indication a fuel economy of just 9.0 L/100km. Over the course of the week my lead foot and city driving got that up to about 9.6. Keep in mind this is better than my 1.8L 4-cylinder Acura Integra gets. For a half-ton pickup to be getting this kind of gas mileage is astounding. 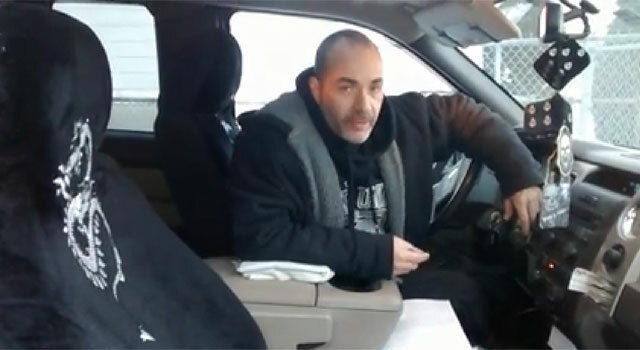 If you have a lot to haul around you’d think the diesel would be the no brainer choice. 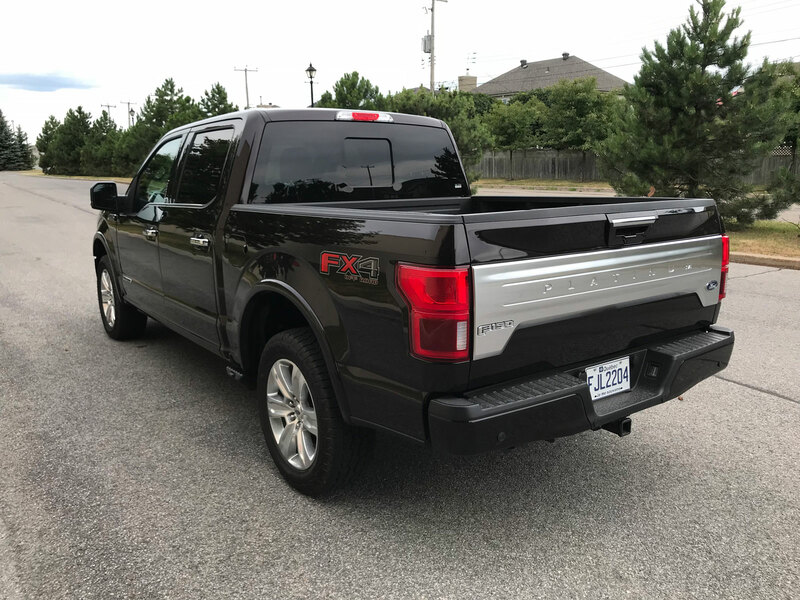 Normally it would be but the 11,400-pound max tow rating and 2020-pound payload rating is actually less than the 13,200 pound tow and 3270-pound payload ratings of the 3.5-litre Ecoboost. The diesel saves on fuel consumption but it costs a bit more to fill these days versus gasoline. Furthermore, the engine itself is a $5650-$8200 option (depending on the trim level) which makes the choice not all that clear. 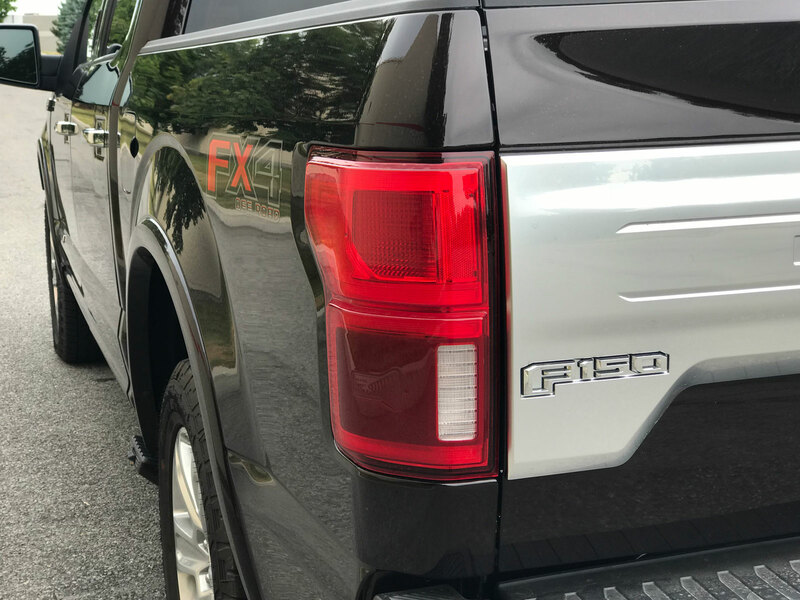 Consequently, Ford expects only about 5% of F-150 sales will be diesels. 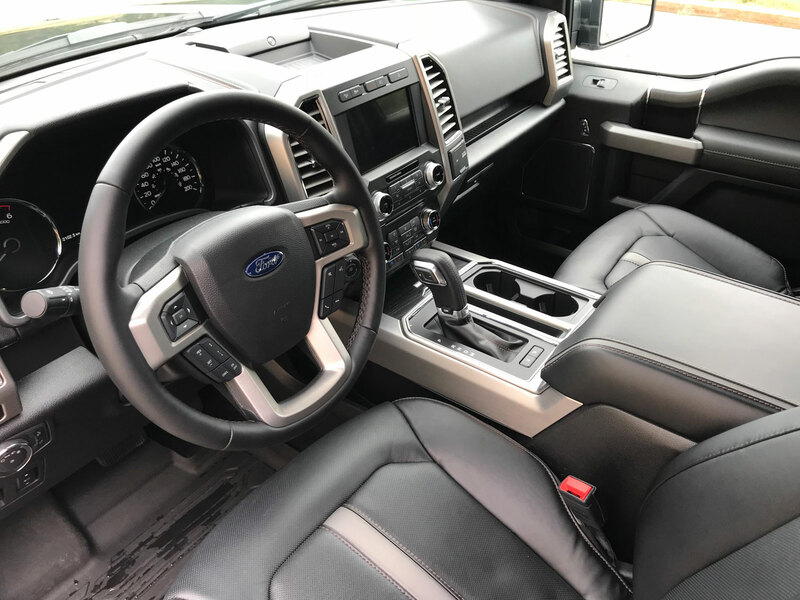 Ergonomically the F-150 is stellar all around with a very well laid out cockpit. 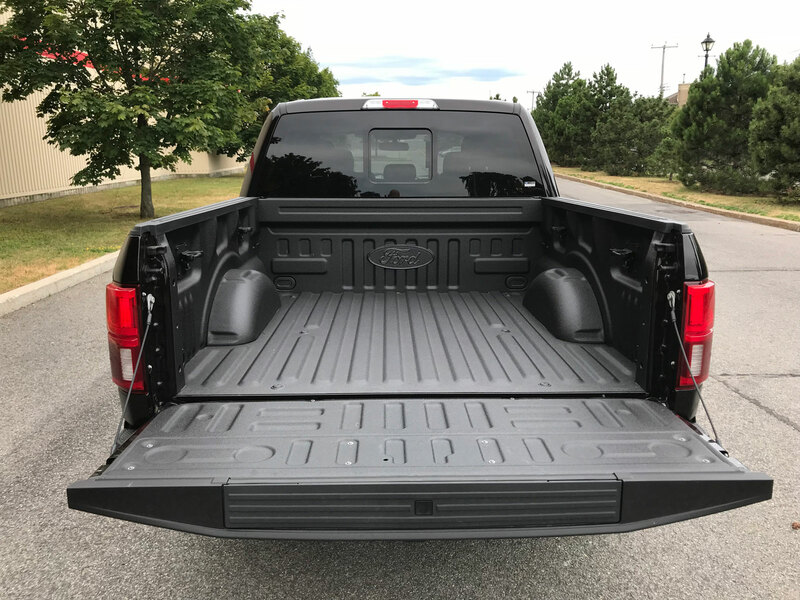 The seating position is very comfortable and the unique interior door handles are easy to use. 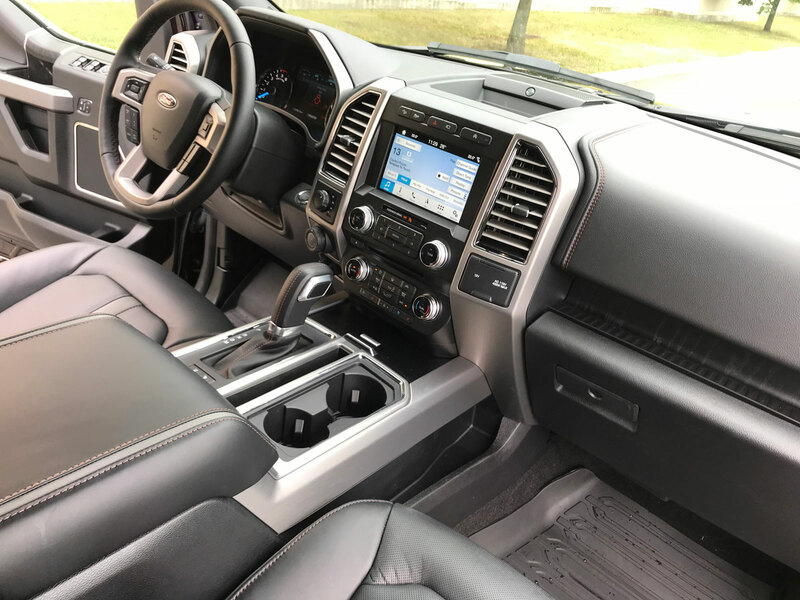 In fact, I didn’t realize just how well the design was until I drove another vehicle and my hand was searching for the Ford-type handle only to be disappointed that I had to use a standard handle once again. 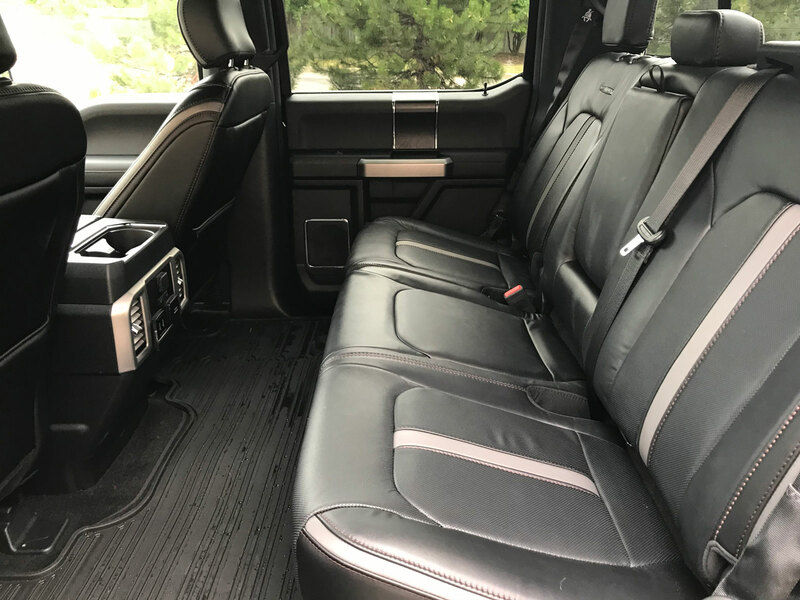 If you have a family, the spacious accommodations provided by the SuperCrew are almost able to render large SUVs or minivans obsolete (but not quite). 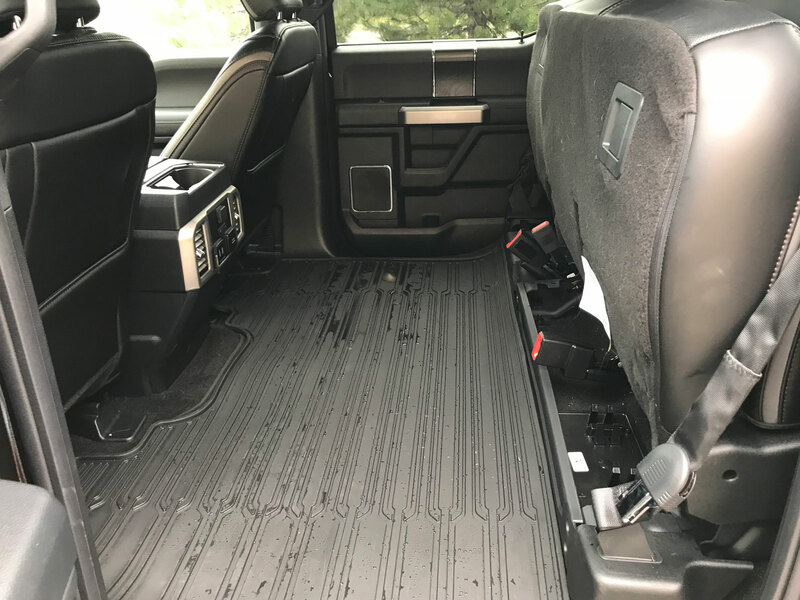 As soon as the little ones are out of the bucket stage then the F-150 becomes a viable option for families of up to five. 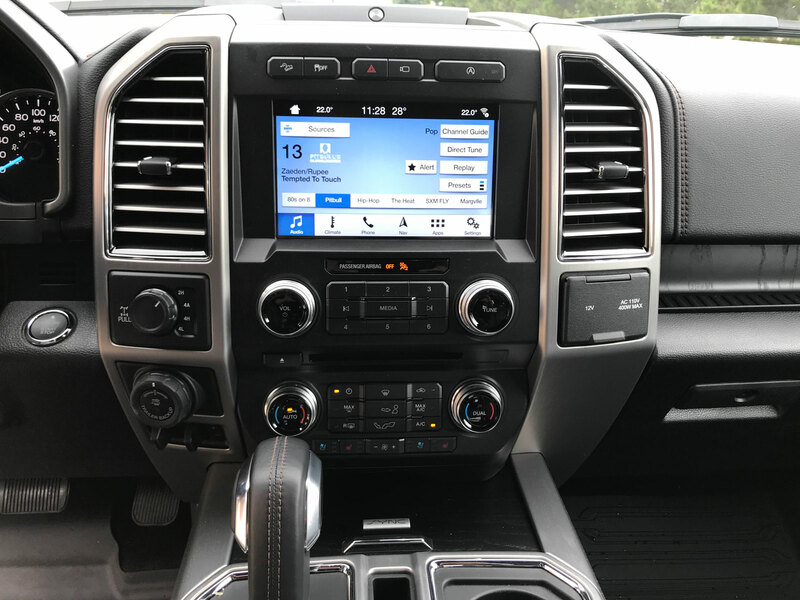 Ford has done a great job with their Sync infotainment system as I found it intuitive and well designed. 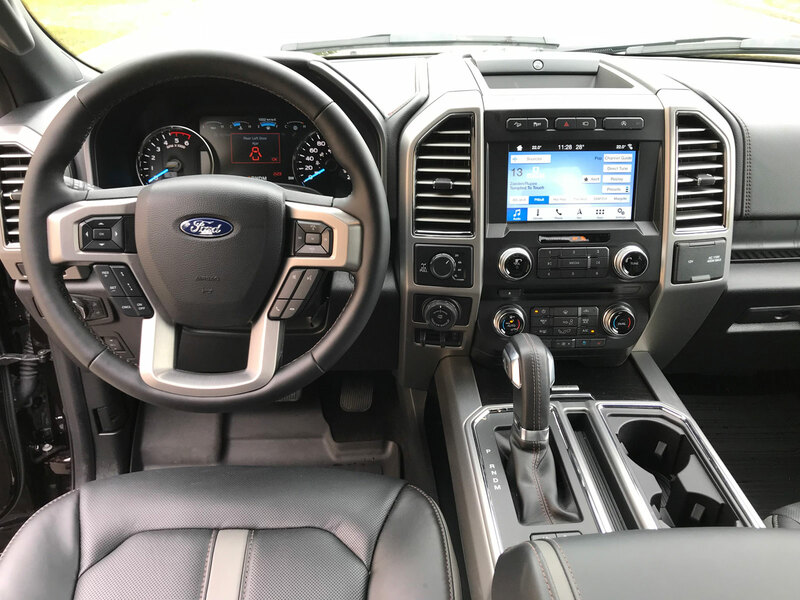 Climate controls are either digital or via physical button which is yet another aspect that Ford gets right though I’d like to see a dial or larger buttons for fan control. 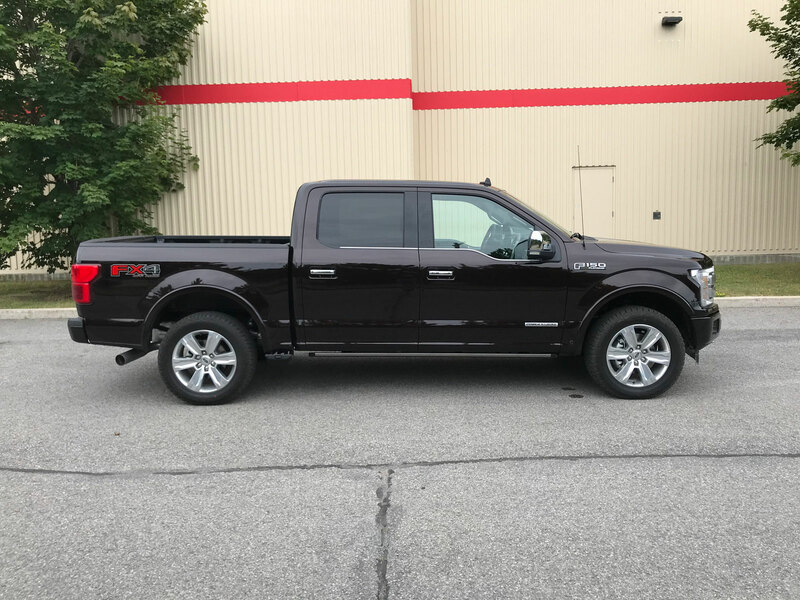 The test vehicle was an F-150 Platinum which starts at $71,579 however with an employee pricing discount of $8,900 and delivery allowance of $5,500 available now and probably at other times of the year it becomes a manageable $59,168 if I wanted to walk over to the dealer and pick one up. 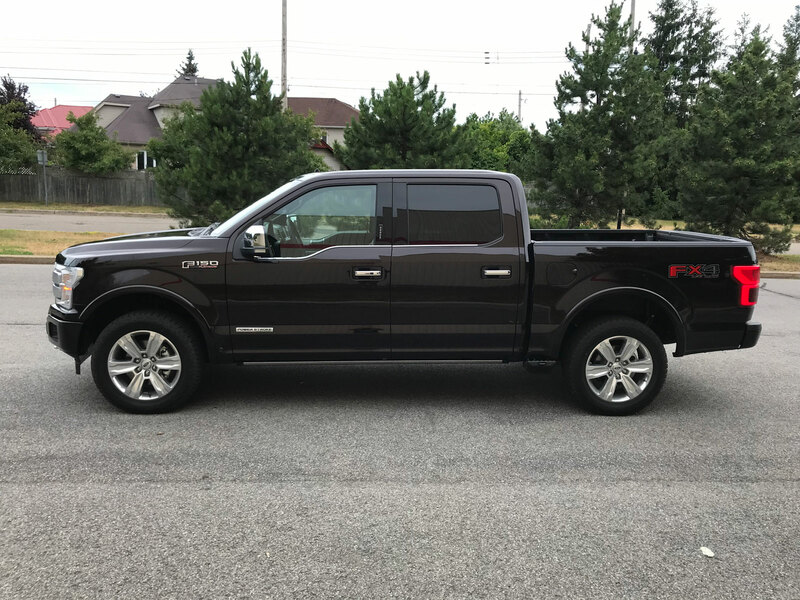 The diesel upgrade here was $5650 but as mentioned before, the 3.5-litre Ecoboost would probably make the most sense and it’s only a $660 upgrade. 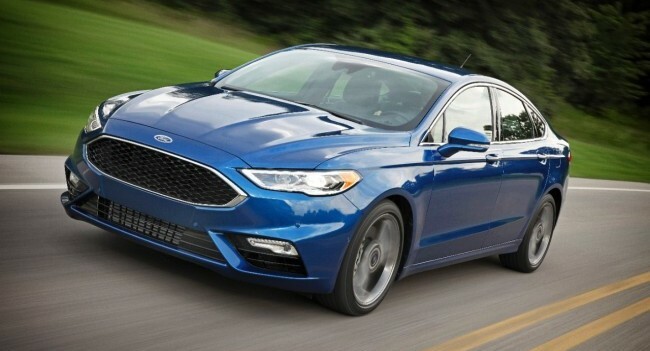 Que fait le mode Sport dans la Ford Fusion V6 Sport 2017?